Ira Louvin died in a car wreck in 1965. Charlie Louvin died last year at 83 just a few months after publishing his story about The Louvin brothers. Their mother taught them religious songs, and their father beat them so much, that the brothers used their singing to get away from the life on the cotton form. There are much to say about their career, and we will in later posts, but today we are going to talk about and listen to the masterpiece, Satan is Real. When you look at the album cover of Satan is Real, it’s an image that’s impossible to ignore. 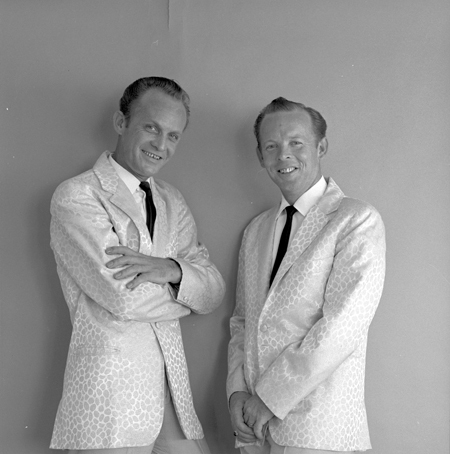 A giant, cartoon cut-out devil towers over a dark landscape of rocks and hellfire, while the Louvin Brothers, in their pure white suits stand arms out-stretched with a mixed look of horror and joy on their faces. On the title track Ira preaches about the temptations of Satan and the salvation that lies ahead for those that chose the right path. He sounds very much like a the brimstone preacher the cover depicts. The songs on Satan is Real are about what self destruction will cost you and the need for salvation. It was a life that Ira Louvin knew very well. Stubborn to a fault, driven by anger, and fueled by alcohol, Ira infused the album with first-hand knowledge of the battle between good and evil. It is sad to say, but I believe it was the “camp” cover that led to new interest in the album, it has been disussed at great length at various sites about best and, more often, the worst album covers. But when people started to listen to the record they discovered wonderful, spiritual songs sung with unbelievable skill and passion. It really touches people with it’s themes on damnation and forgiveness. It very much deserves the praise it gets, it is a gospel milestone! “While more than a few hipsters have found an ironic laugh in the album’s over-the-top imagery, one listen to the music confirms that the Louvin Brothers weren’t joking in any way, shape or form. 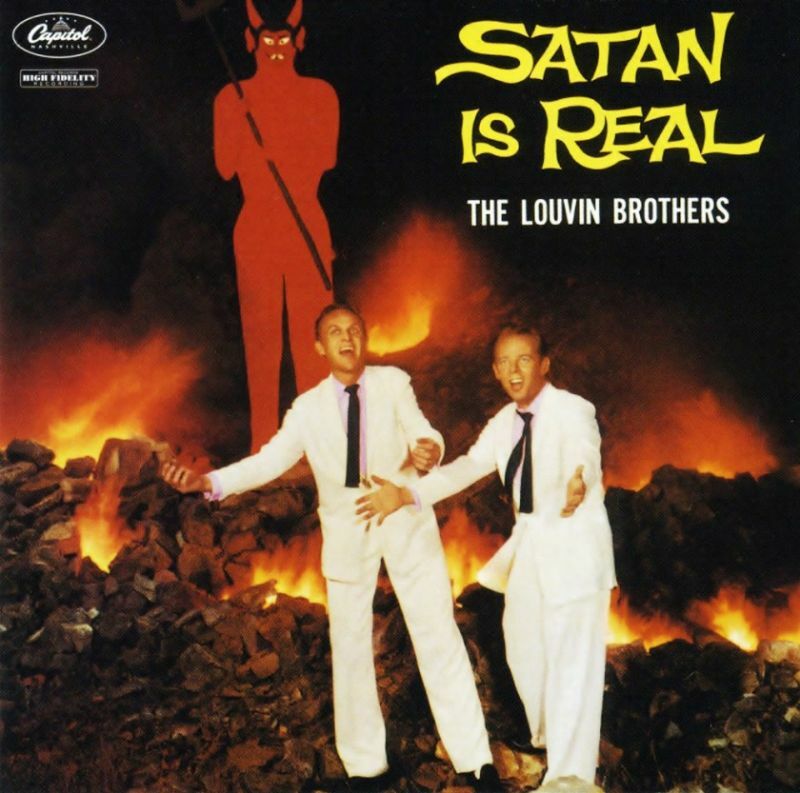 Satan Is Real is an album of fierce, plain spoken sincerity in which the Louvins, who started their career singing gospel material, perform songs that deal with the high stakes of sin and redemption, in which Satan truly does have power to rival the Lord.